Fitzroy Yachts Limited completed the building sailing yacht INMOCEAN in 2008. As such, she can be categorised as having been built country of New Zealand. INMOCEAN had yacht design and naval architecture completed by Dubois Naval Architects and Dubois Naval Architects. This superyacht INMOCEAN is able to accommodate a capacity of 6 aboard and 5 operating crew. Launched in 2008 her interior design confirms the perspicacious talents in the designing of Adam Lay Studio. Whilst Dubois Yacht Design is known for their contemporary sailing superyachts, in the yacht INMOCEAN they have produced a classic style yacht with an easy flowing sheerline and classic ends. Her hull form promotes a gentle motion in a seaway and also keeps the decks dry with the good topside flare and overhang to forward. 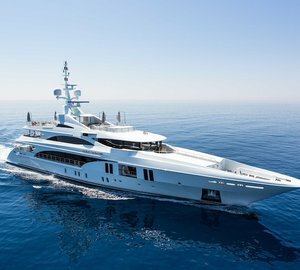 Dubois Naval Architects was the naval architecture company involved in the professional superyacht design work for INMOCEAN. Also the company Dubois Naval Architects expertly worked on this undertaking. Interior designer Adam Lay Studio was selected for the creative interior ambience. 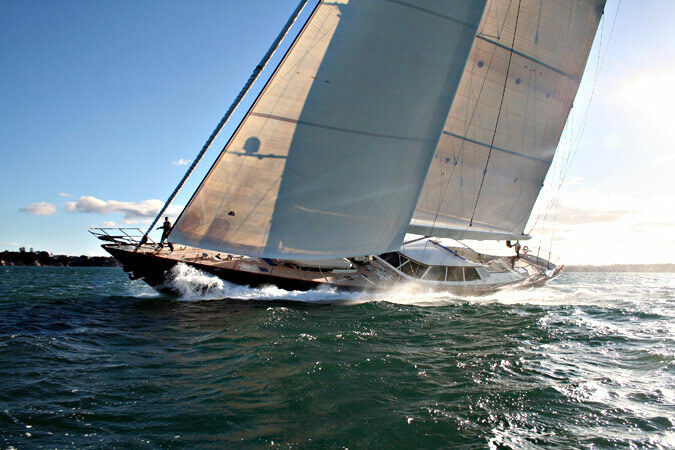 New Zealand is the country that Fitzroy Yachts Limited completed their new build sailing yacht in. After her official launch in 2008 in New Plymouth she was handed over to the owner following sea trials and testing. The hull was crafted from aluminium. The sailing yacht superstructure component is fabricated predominantly from aluminium. With a width of 8.5 metres or 27.8 ft INMOCEAN has spacious interior. A fairly deep draught of 4.3m (14.1ft) selects the amount of harbours she can enter, taking into account their minimum depth. The 3406E engine installed in the sailing yacht is produced by CATERPILLAR. For propulsion INMOCEAN has a single screw propeller (hundested). She is fitted with 1 engines. Apportioning volume for a limit of 6 visiting passengers overnighting, the INMOCEAN accommodates them in luxury. Normally the vessel has room for approx 5 capable crew to manage.